RSS Factory can display relevant RSS feeds set from the backend, obtaining a clean way to direct genuine traffic towards the site. 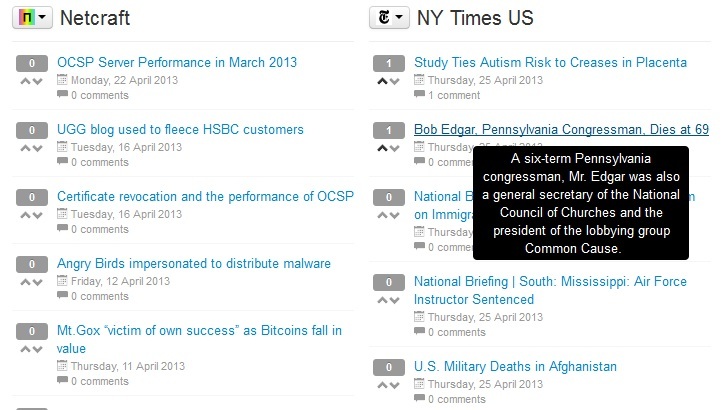 RSS Factory can be used to add as many feeds as intended. The extension was successfully tested with large sets of feeds. rss Factory 4.3.2 released on November 15, 2018. Several optimization and small fixes. Fixed issues regarding frontend module, relevant stories. rss Factory 4.3.1 released on October 2, 2018. New feature: added option to log Cron Job output. rss Factory 4.3.0 released on June 25, 2018. New feature: added option to display Channel title when using List output style. Fixed issue regarding feeds menu item default display values. 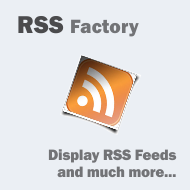 rss Factory 1.0.0 released on April 22, 2007. 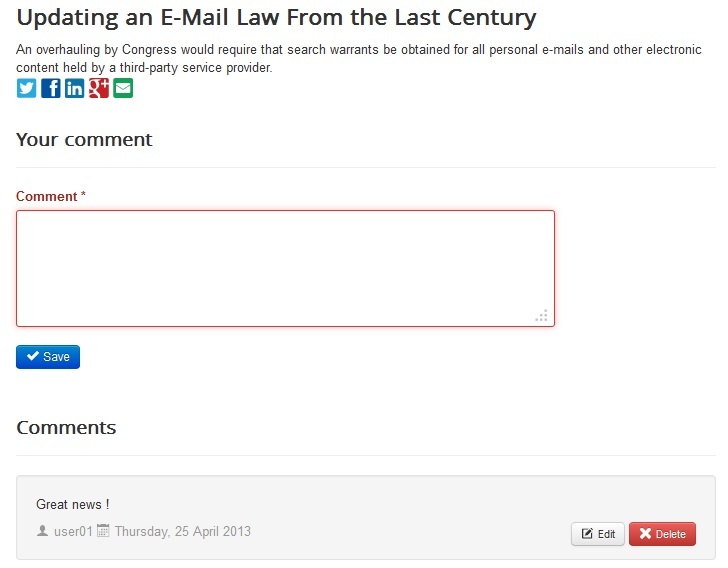 Screenshots are representing version 4.0.1 of RSS Factory.